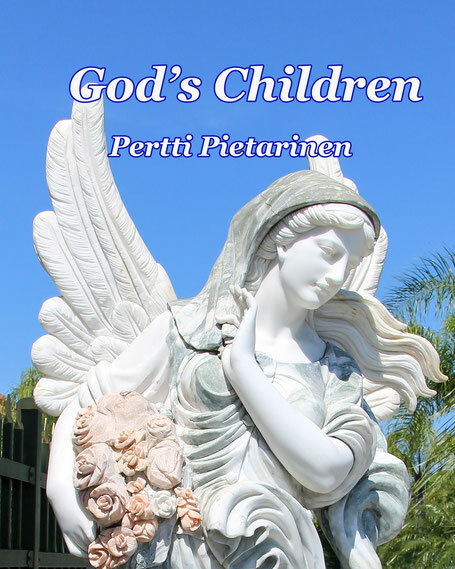 5-Star award winning book God’s Children (ISBN 978-1497567399) is a devotional Christian book especially for children but recommended also for adults. God loves you, because He created you as His own image. He loves us so much that he gave His only Son, Jesus Christ. God so loved the world He gave His only begotten Son, that whosoever believes in Him should not perish, but have everlasting life. And every child’s best friend is Jesus Christ. This book tells about His love with beautiful pictures and Holy words. From Amazon review: "... The author continues his signature style - warm and very loving - in God's Children. Just as Lucy the Cat (IBAN: 1494444135), God's Children is filled with loving messages in easy-to-follow manner. This is a wonderful book to read to kids. The warm story will not only help to instill a solid sense of morality and love in children but also console you, the reader. The book reminds us that we are all God's beloved children. God's Children is a beautiful and well-written reminder of God's unconditional love for us all."